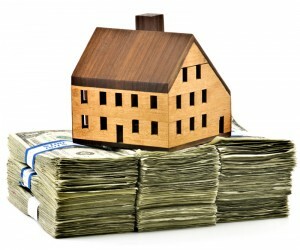 Home values in the United States showed little upside in August of 2011, according to the Zillow® Real Estate Market Report released this week. The Zillow Home Value Index(ii) increased 0.1 percent from July to August. On a year-over-year basis home values declined 4.5 percent to $172,600. Home values have fallen 28.3 percent since they peaked in June 2006. Regionally, 68 of the 157 metropolitan statistical areas (MSAs) covered by Zillow experienced monthly home value appreciation, though minimal in many areas. Most notably, two of the hardest hit markets, Detroit and Ft. Myers, Fla., have now seen five and nine consecutive months of appreciation, respectively. Seventy-four markets saw home value depreciation and 15 markets, including Los Angeles, Dallas and Miami-Ft. Lauderdale, Fla., remained flat. The foreclosure liquidation rate, which measures the number of homes lost to the bank, stayed steady at around 9.2 out of every 10,000 homes foreclosed in August. This is down from the rate of 10.9 out of every 10,000 homes in October 2010, before the robo-signing lawsuits slowed the pace of foreclosures in most states. However, foreclosure liquidations remained high in many of the hardest hit metros in California, Nevada, and Arizona. In Las Vegas and Phoenix more than 30 out of every 10,000 homes were liquidated in August. The full national report, is available at www.zillow.com/local-info.